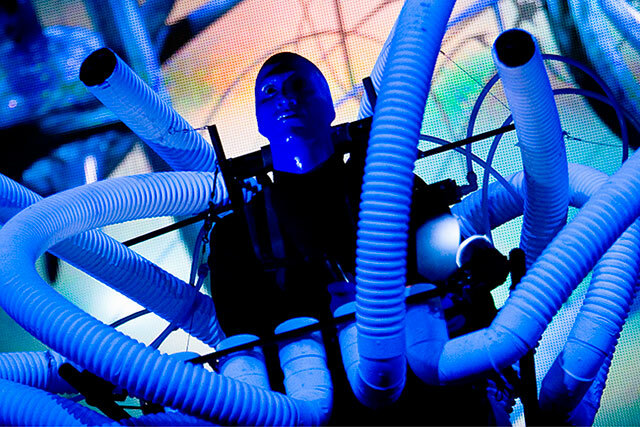 The most "visually stunning" show to hit Las Vegas has arrived thanks to the Blue Man Group. This show has also been called "wildly inventive". The humor in this story is presented as "hilarious entertainment". Generations of individuals are enamored by the Blue Man Group at the Venetian. You will feel euphoric emotions and a sense of bliss wash over you as you watch this one of a kind show. The 1,760 seat Blue Man Theatre in the Venetian Hotel & Casino was built specifically for the Blue Man Group's show "Bluephoria". This amazing show has been called, "an absolutely ecstatic experience" by USA Today. As if that was not enough, it has also been referred to as a "sensation" by Time magazine. 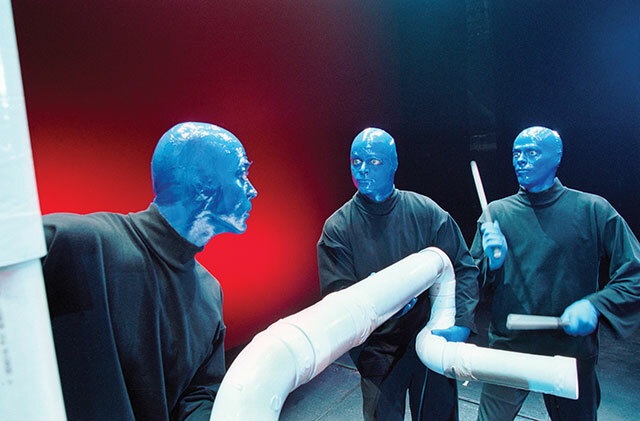 The Blue Man Group was founded in 1987 by three friends. These friends, Matt Goldman, Phil Stanton and Chris Wink worked together to create the ultimate show. The currently renamed show Bluephoria, which has won awards opened in 1991 at the Astor Place Theatre in New York City. Additional shows were opened in Boston and Chicago. 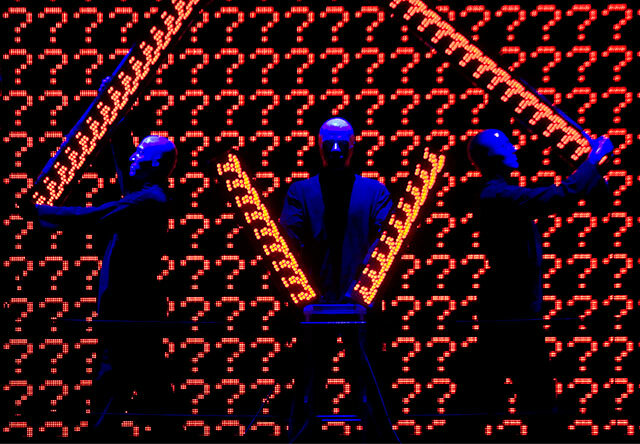 However, it was not until the year 2000, when Blue Man Group opened its biggest production ever in Las Vegas. This show opened in the Luxor Theatre to a crowd of 1,200. 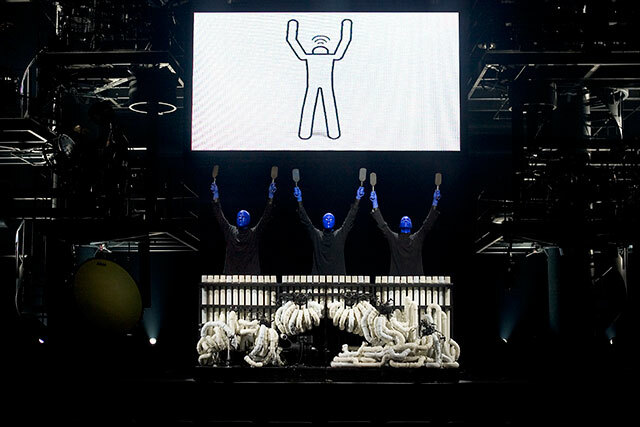 The Blue Man Group quickly became the "must see" for those who visited Las Vegas. 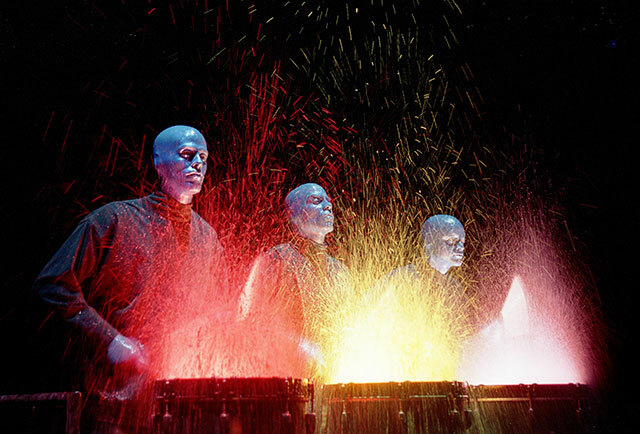 Additional shows in Toronto, Berlin, and London have made Blue Man Group an International success. 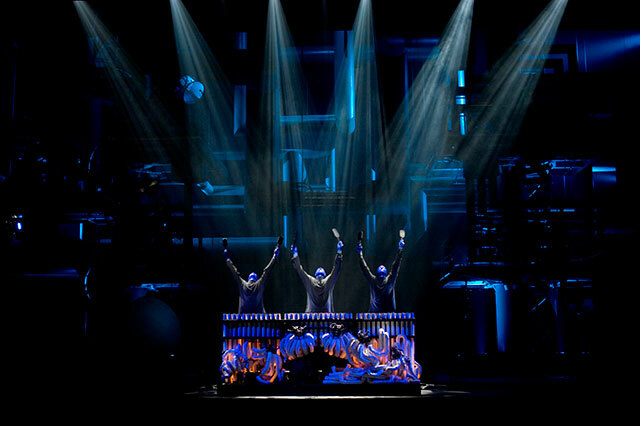 Though the show started in NYC with just the three original Blue Men, the Las Vegas show, and all other subsequent productions have grown to include 60+ Blue Men and over 50 musicians. Since the shows have become such a success, Blue Man has since released a CD, “AUDIO”. This CD was released in 1999 through Virgin Records. Blue Man Group has also composed a television score for the hit FOX television show, The Jury. Additionally the group created their first film, a short called Exhibit 13 in response to 9/11. There are three different type of seating; Orchestra seating , Front Balcony seating , Upper Balcony seating can be reserved for the ages five and up. When you come to Las Vegas, visitors of all ages will not be able to get enough of Blue Man Group and their magnificent Venetian show. I went to see Blue Man Group with my mother and grandmother. It's definitely a show for a younger, more contemporary audience. I enjoyed it, my mom thought it was okay, and my grandmother hated it. My favorite was the skit with the pipes... Words flashed on the screen explaining that there's one thing that connects us all together. Then came a playful display with pipes... The one thing that connects us all: sewage. Overall, it's a fun show. I'd definitely recommend. My wife and I were in Las Vegas for 3 days in early August 2008. One of the night activities was to see a performance. 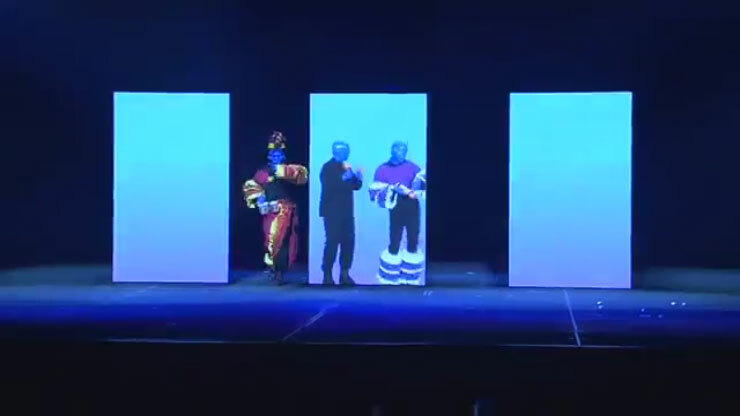 The Blue Man group had great reviews and the marketing material looked very interesting. If I can be honest this performance was the worse performance I have ever seen in my life time. I am 46 years old and my wife is 43. We see shows frequently in our travels; which are stateside, cruise lines, and overseas locations. This show had no substance and was truly meant for kids fewer than 21. I found myself looking at the audience and noticed the only people showing interest was teenagers. After the show we talked to others in our age group and they said the same thing; poor acting, waist of a ticket $100 person, and time. I would never recommend this to anyone. If I could give advice to make this show interesting I would not let these Blue guys beat and beat and beat and beat whatever they could get their hands on but use different sounds of the ages. They attempted this for 5 minutes but the rest of show was loud/boring/not funny. I would have added better comedic material as well. I found them disgusting at some points. To be very honest I could teach my 3 teenagers to do exactly what they did. Their wasn't real talent other than the beating of the drums; which went on FOREVER!!!! Sincerely, AJ.